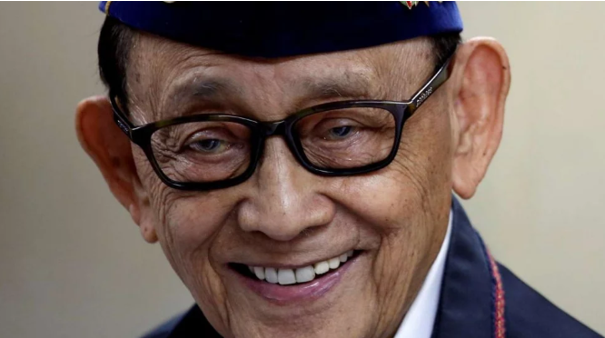 Former President Fidel V. Ramos has a unique take on the President Rodrigo Roa Duterte’s National Security Strategy (NSS) for he believes that in this case it is “closely intertwined” with economic development. “NSS 2018 has the broad theme of bringing about meaningful and lasting socio-economic and political change aimed at building a stronger nation and improving the lives of the Filipino people,” Ramos stated. He believes that in totality, this tactic would bring together all aspects of the government making it a more efficient system rather separate efficient organs, given that we as a people do the same thing. “NSS 2018 integrates the state’s major security policies, goals, responsibilities, and courses of action into a roadmap for the fulfillment of the national security vision. It seeks to foster better coordination, synchronization and cohesion of Government functions in order to improve efficiency and maximize the use of limited State resources,” the former President continued. “1. Guarantee Public Safety and Achieve Good Governance. The strategy begins with the determination to protect the nation against the range of threats that directly impact on the safety and welfare of the Filipino people. These are terrorism, insurgency, and subversion; transnational crimes; criminality and illegal drugs; and graft and corruption. 2. Mitigate the Impact of Health-Related Threats. Health security today demands greater attention than before. New diseases are emerging and spreading; virus and bacteria are developing drug-resistant strains. The ease of global travel has increased the risk of rapid spread and contamination, as well as challenged existing containment protocols. 3. Develop a Dynamic, Inclusive, and Sustainable Economy. The prevailing challenge is how to achieve the competitive advantage. The issues of globalization such as economic integration and increasing competition have called for the development of strategic industries in the country’s pursuit of rapid economic development and comprehensive national security. 4. Achieve Food and Water Security. Food is the most important commodity in populous Philippines. Together with our military weaponry – which is now among the weakest in Asia – food is a major element of Philippine national power or lack of it….. Despite the abundance of water in the country, there has still been a decline of fresh water supply in many parts of the country due to decades of resource mismanagement, inadequate investments in infrastructure, and the growing threat of climate change. 5. Safeguard and Preserve National Sovereignty and Territorial Integrity. The Philippines shall implement a strong independent foreign policy. In particular, the dispute in the West Philippine Sea depicts the immense historical, economic, legal, diplomatic and environmental complexities among the Philippines with other claimant-countries. Actions to address the WPS issues should look into the interplay of these dynamics and how Government efforts should be prioritized. 6. Heighten Consciousness and Pride on Filipino Heritage, Culture and Values. Prior to colonization, our indigenous peoples already had their distinct justice and governance systems, customs and traditions, arts, literature, music, dance and values. This was later influenced by the introduction of Islam, the coming of the Chinese, the Spaniards, the Americans, and the Japanese. Culture also varies according to age group, gender, spirituality and socio-economic class. 7. Promote Human and Ecological Security. Climate change, as well as natural and human-induced emergencies and disasters, have become significant human security concerns of our time. The Philippines is susceptible to both geological and hydro-meteorological hazards. In fact, the World Risk Report 2016 puts the country at third place among the countries with the highest disaster risk, next to Vanuatu (first) and Tonga (second). 8. Achieve Energy Security. Energy security is the uninterrupted availability of energy sources to all households and economic sectors throughout the country at an affordable price. The Philippines is committed to secure and protect energy supply throughout the country; sustain and develop existing energy sources; and develop alternative, sustainable and clean sources of energy for the survival of our country and people. 9. Ensure Maritime and Airspace Security. The Philippines has the third longest coastline in the world after Indonesia and Canada. The sea is extremely significant from an international navigational, economic, geopolitical and strategic perspective. There is an urgent need to develop a modern and adequately-equipped border security force capable of ensuring maritime and air space security. 10. Strengthen International Relations. An independent foreign policy shall be geared to bolstering cooperative and harmonious relations with all countries at the bilateral, regional and multilateral levels, promoting development through international cooperation and economic diplomacy, protecting the rights and welfare of overseas Filipinos, and advancing Philippine global stature through commitment to international obligations. 11. Provide Strong Cyber Infrastructure and Cyber Security. With advances in technology and innovations in the computer and mobile industry surging at a very fast pace, protecting its citizens and institutions from falling victims to cybercrimes has become a major challenge for the Government. Moreover, the easy access to the Internet has also been used by subversives, terrorists and other groups to promote their cause or practice their nefarious activities. “In order to protect our most cherished democratic institutions and way of life, we will create an environment where peace and economic development will complement each other. We will address urgent national security concerns and cope with the rapidly changing regional and global security environment in line with the objectives set forth in the NSP 2017-2022. “To defend our sovereignty and the integrity of our national territory, we will develop and improve our defense, intelligence and law enforcement capabilities to enable our troops to end communist insurgency, terrorism and violent extremism. The NSS is basically a “ROADMAP IN BUILDING A STRONGER NATION,” with the support of the nation on the back of the President the Philippines will attain the glory that it once held. Ramos then ended his passage with positivity for the foreseeable future.